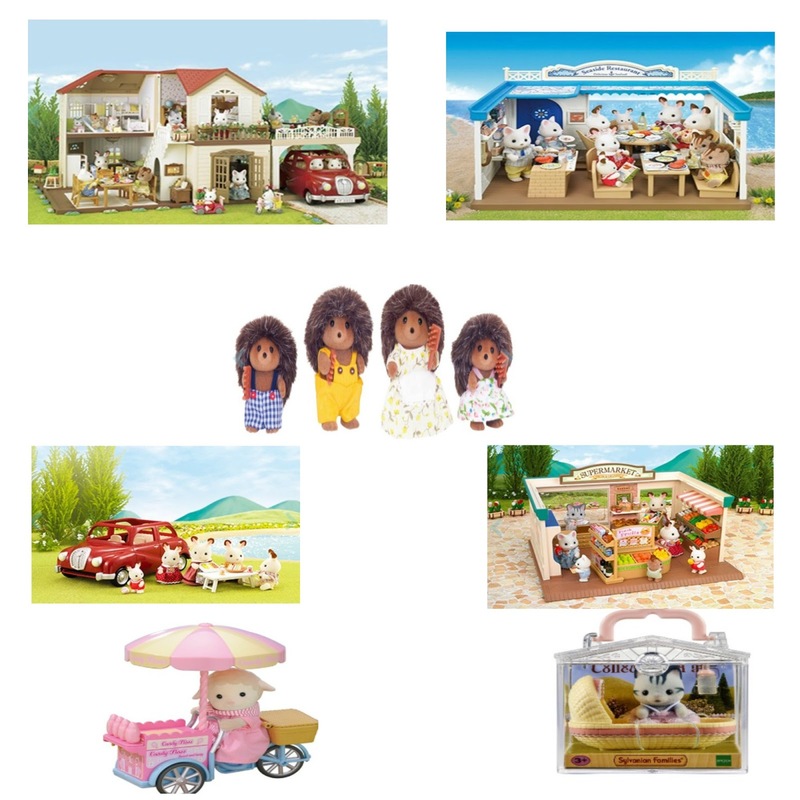 Regular readers will know that we are Friends of Sylvanian Families, my two girls love Sylvanians and I do too as they are such a timeless toy that reminds me of my own childhood. Now that Christmas is just a week away I thought that I would share with you a few of my favourite Sylvanian products, just in case you still have some shopping to do. 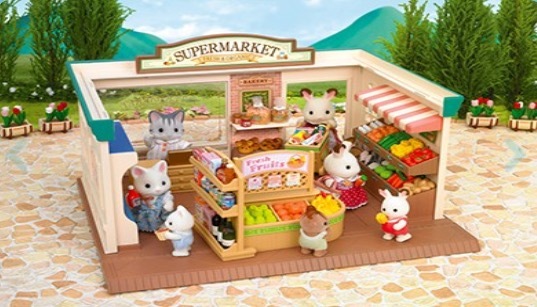 Sylvanians make such a lovely Christmas gift that will bring hours of fun. 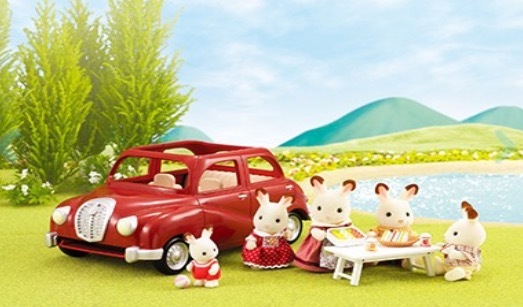 My eldest was Sylvanian mad a few years ago and we have so many families and sets all ready for her younger sister to play with, they last so well and still look brand new. No matter what your budget you are sure to find something in the range that would make a fantastic gift as prices start at just £4.99. So here is a quick look at my favourite Sylvanian Families items. We actually own this set and it was one of my daughters favourite sets, she use to play with it all of the time. 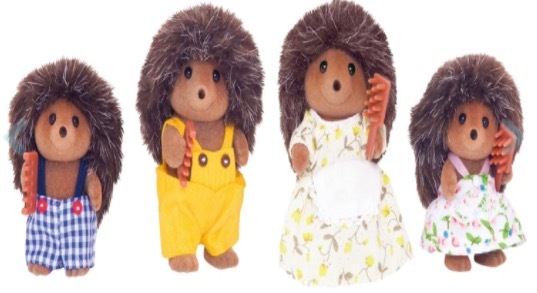 This is such an adorable set that is made up daddy hedgehog Mortimer who is a tailor, mummy hedgehog Eleanor who makes wedding outfits and their two children Maxwell and Abigail. Like all families, they come wearing very cute little outfits and will be sure to capture any child's imagination. This is another item that we already actually own and this is an adorable little vintage looking car. The car easily fits the families in and is really robust, we have had it for years and it has been played with for hours and is still in excellent condition. This is a lovely addition to any collection as it will be great for role play and transporting figures around the village. I love the look of this house, we don't actually own it but I have my eye on it for Sophia in a year or two when she is a little bigger and able to appreciate it and look after it. Maple Manor is a beautiful four bedroomed home with a movable staircase and detachable carport. This really would be such a great toy to house your families in. Again this is another set that we own, Chloe actually got this as a present when Sophia was born. This is a really lovely set and it comes with so many little pieces to make the shop complete like foods to stack on the shelves and a trolley for people shopping in the store. This was probably one of the most played with sets we have. You can also buy other 'shops' to add to your collection and they connect to the supermarket to make a high street, we have the toy shop which it connects to. This is a mega cute little set that would be a great addition to any collection. It looks really timeless and you would even be able to use this when playing with other toys. The little candy floss bicycle set reminds me of old-fashioned films like chitty chitty bang bang. 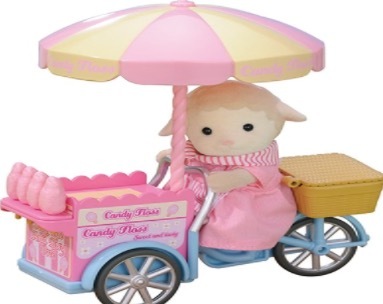 Dolly the sheep is also a lovely looking figure who's outfit matches her bike. Yet another set that we do already own but again this is a set that has been played with so much and has been a big hit in our house. 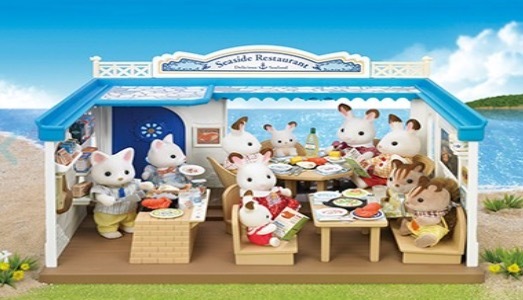 This is a seaside restaurant that is equipped with everything you need such as food, cutlery, tables and chairs and a kitchen area. This is great for role-playing and let's be honest it looks pretty cool and us parents would love to play with this set as much as our children do. I love this little set and it would make a brilliant stocking filler. It contains a baby cat in a little crib and it is just mega cute. 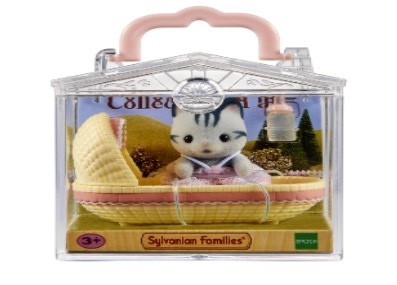 The little carry case is perfect for carrying your baby Sylvanian around with you or for storing it safely away. 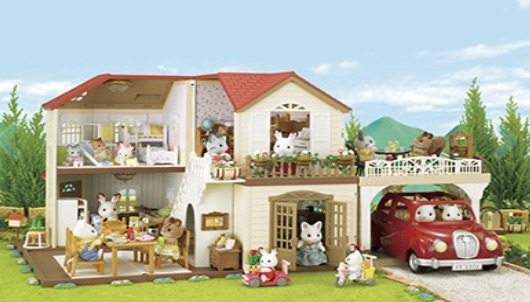 So that is my Sylvanian Families Christmas wish list, what would be on your Sylvanian Christmas wish list ?